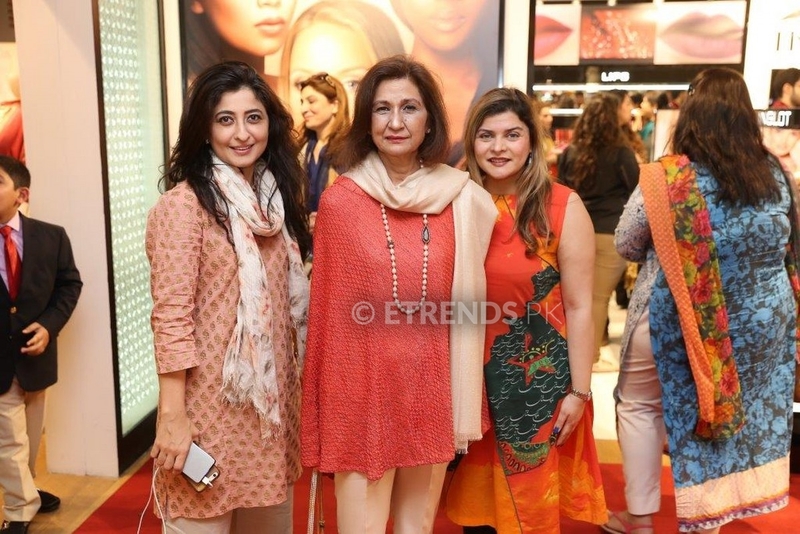 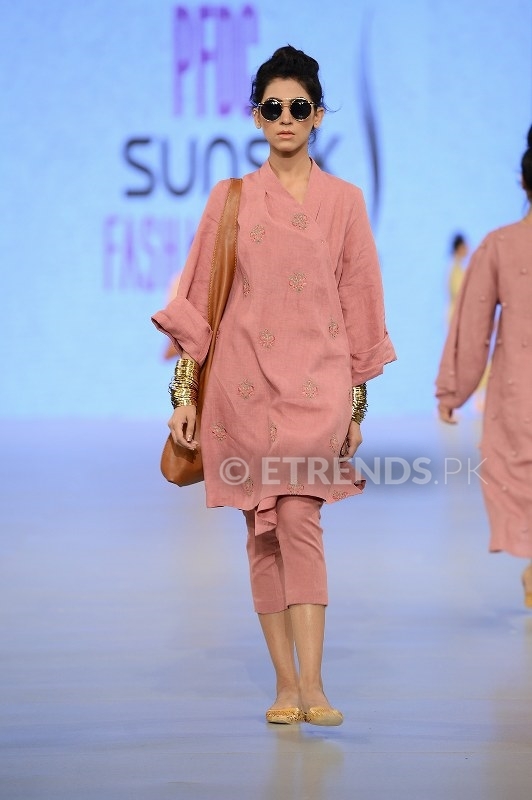 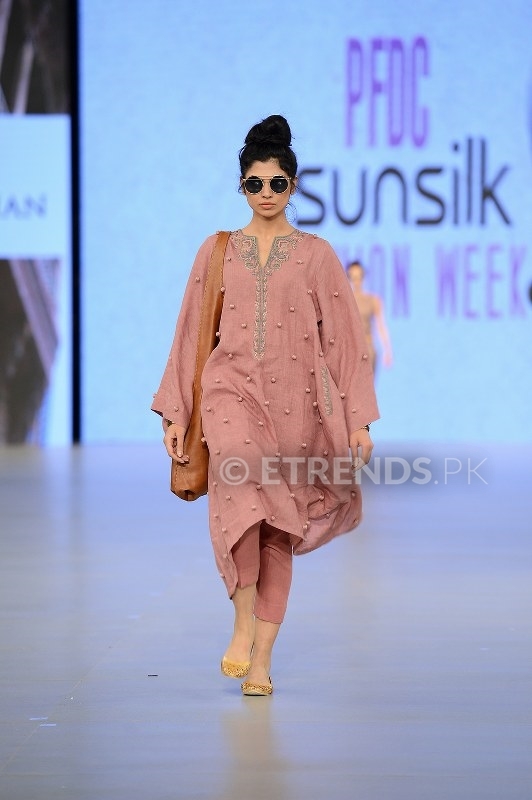 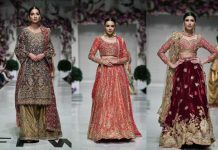 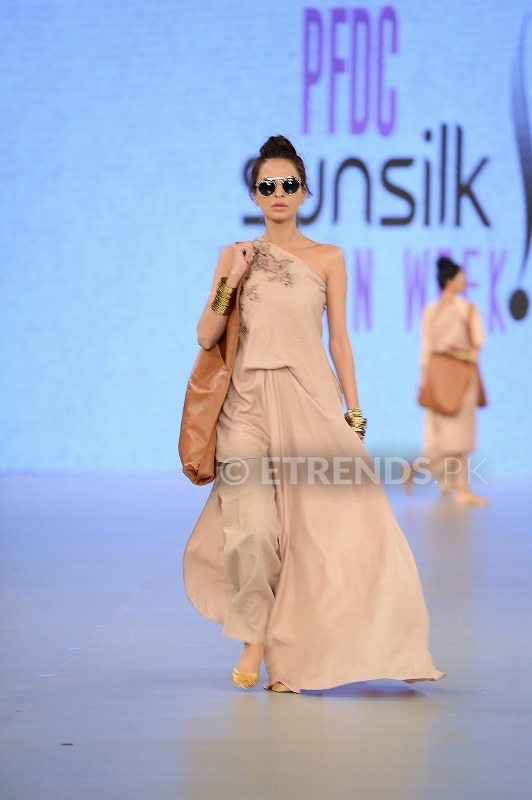 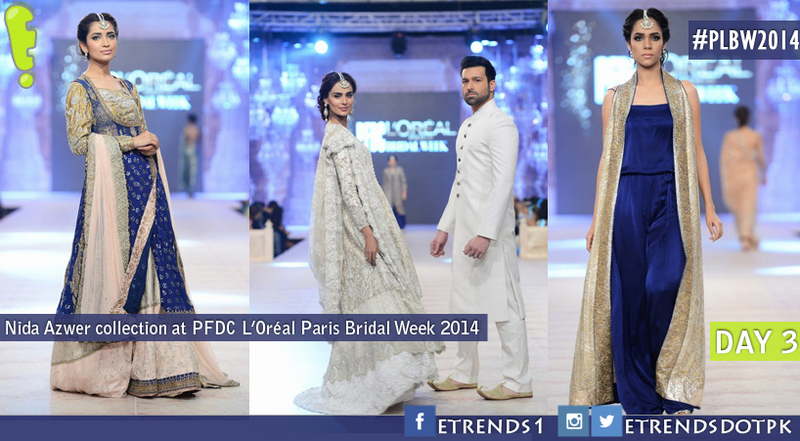 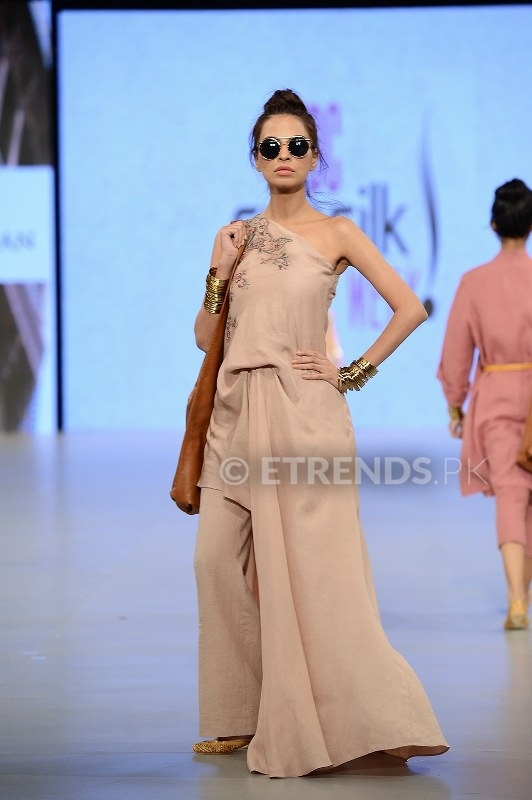 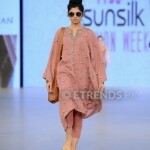 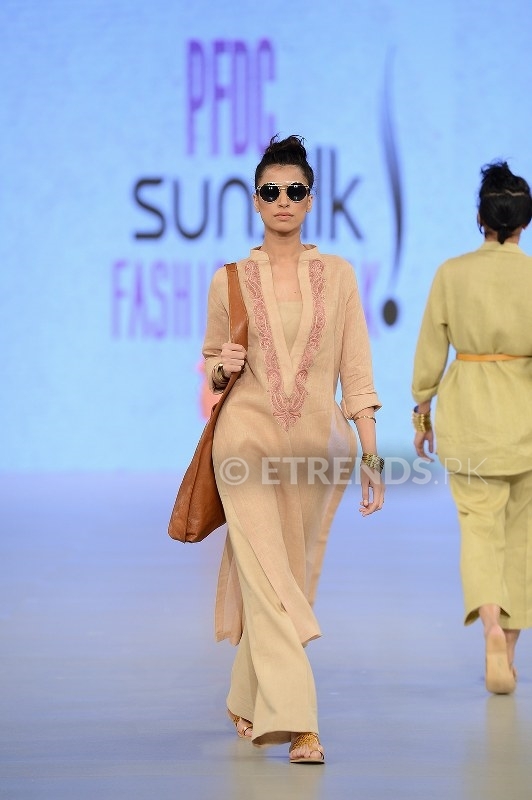 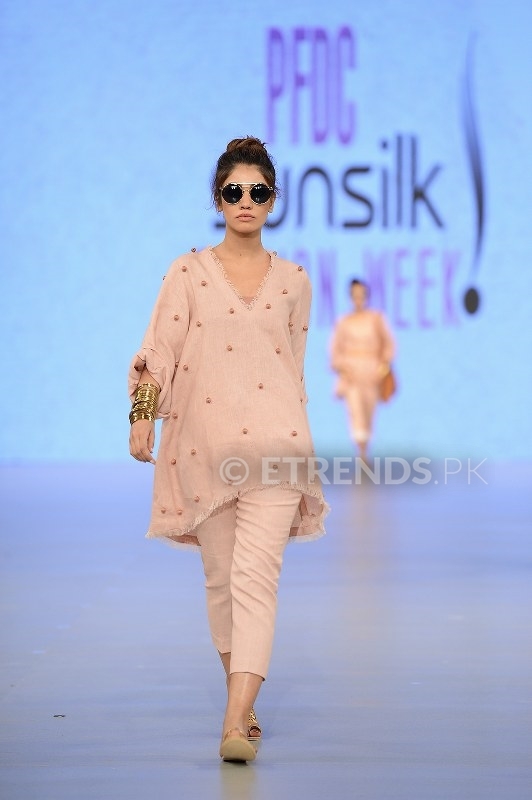 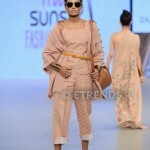 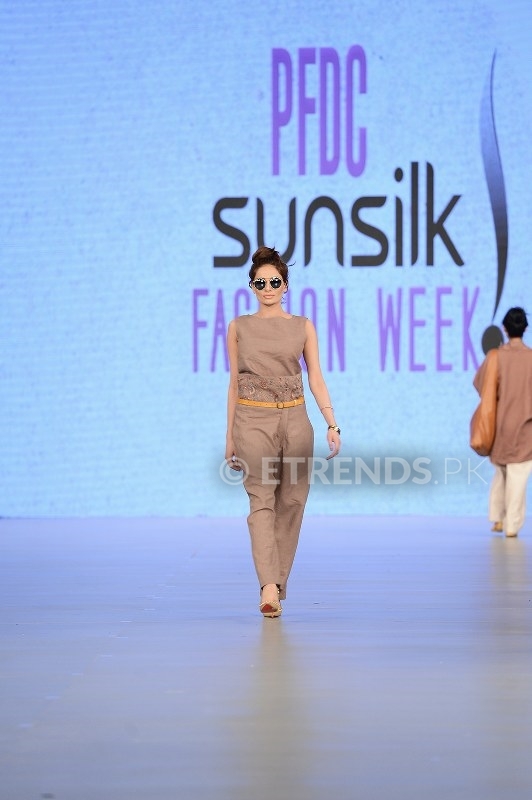 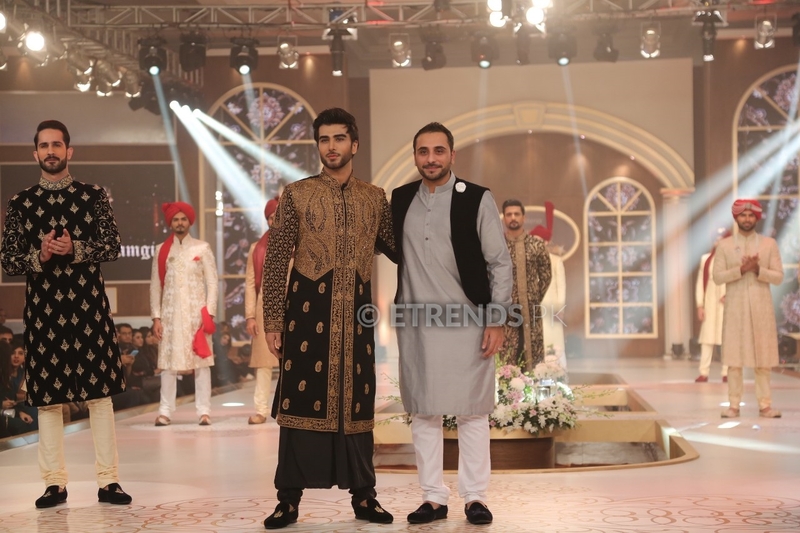 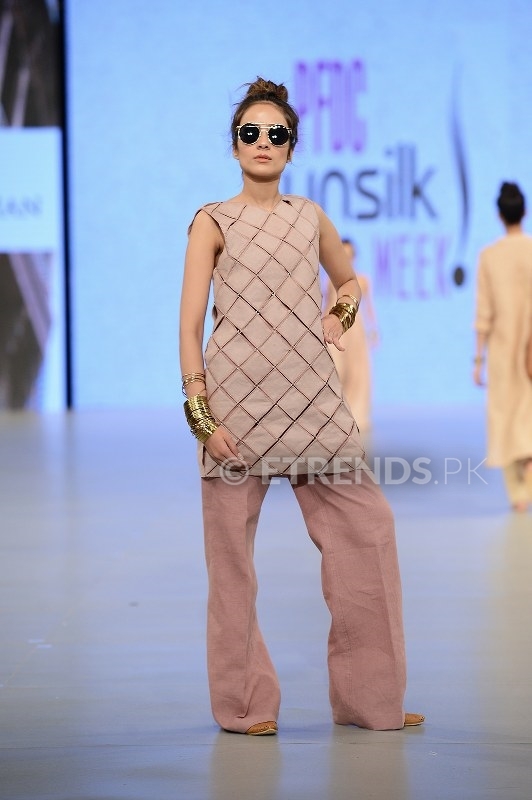 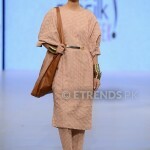 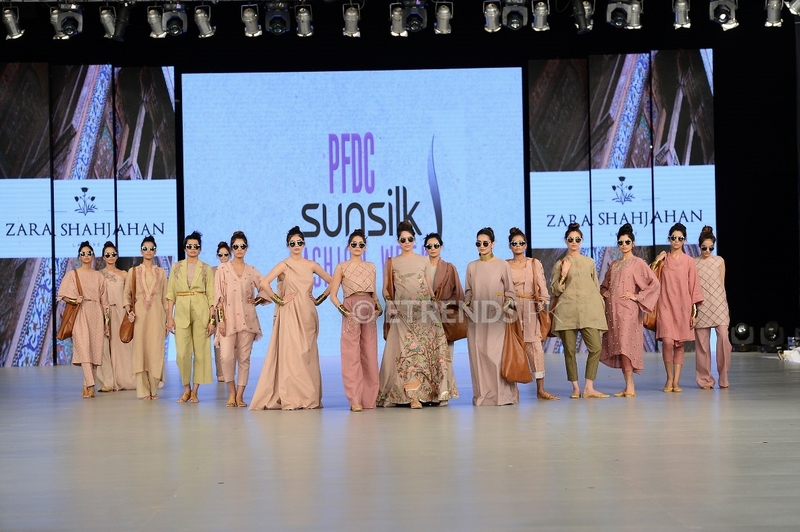 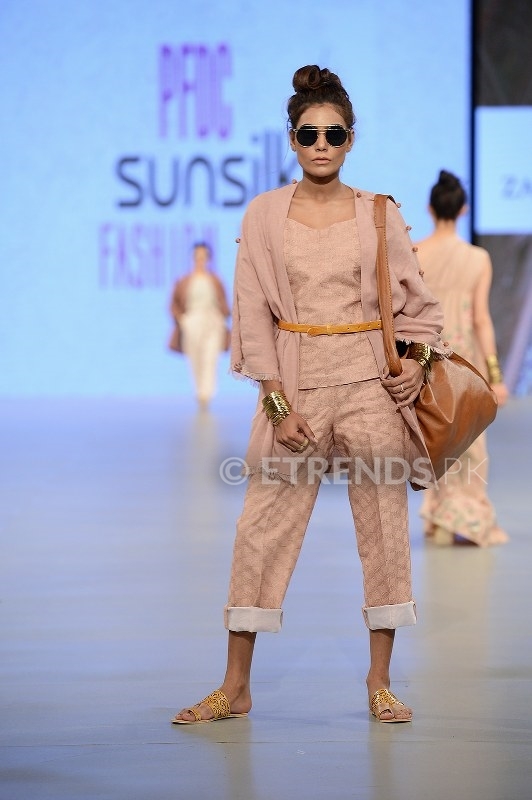 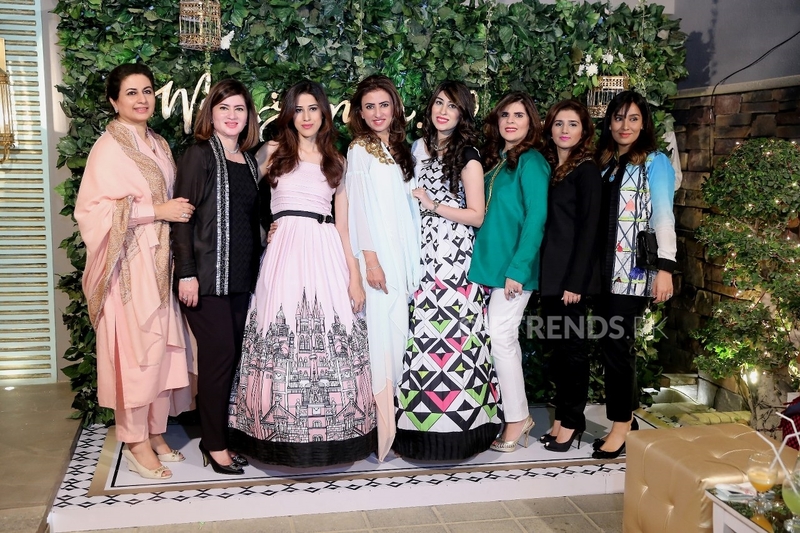 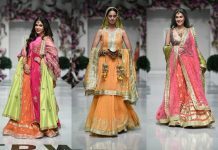 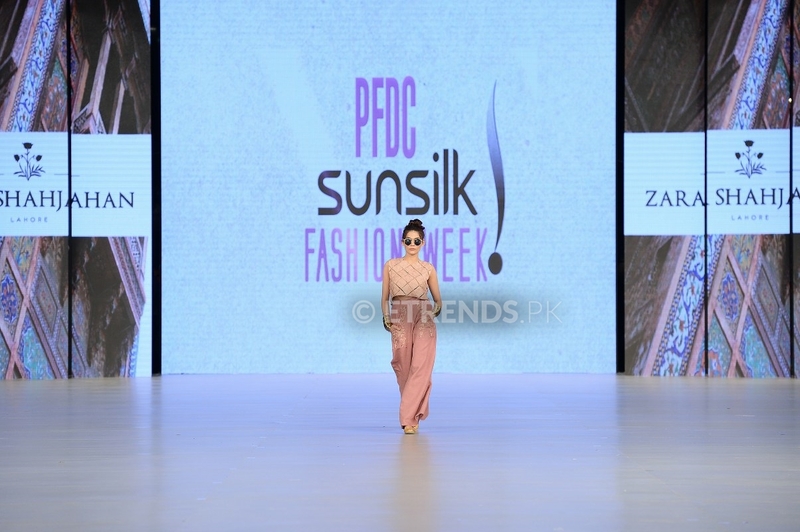 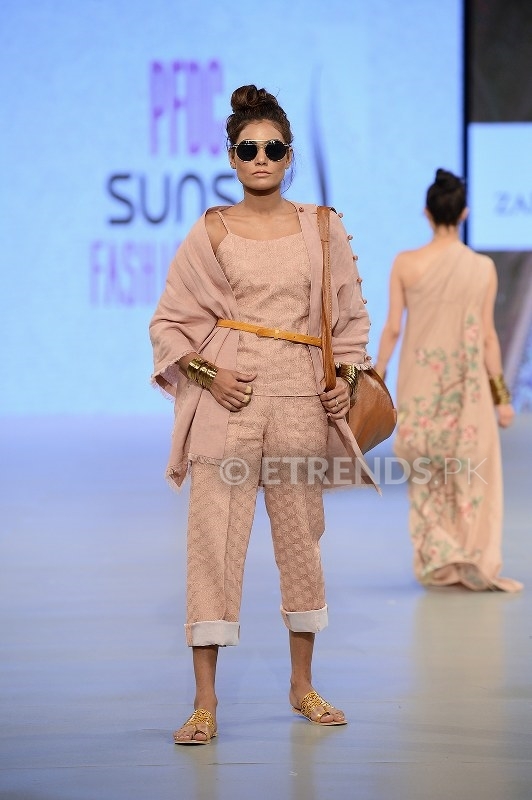 Zara Shahjahan returned to the PFDC Sunsilk Fashion Week platform for the fifth time with a new Luxury/Prêt collection titled “Sartorialist”. 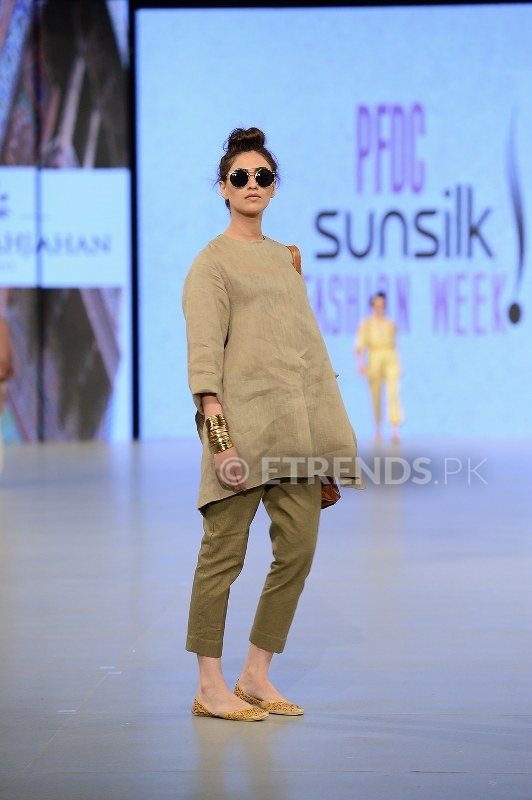 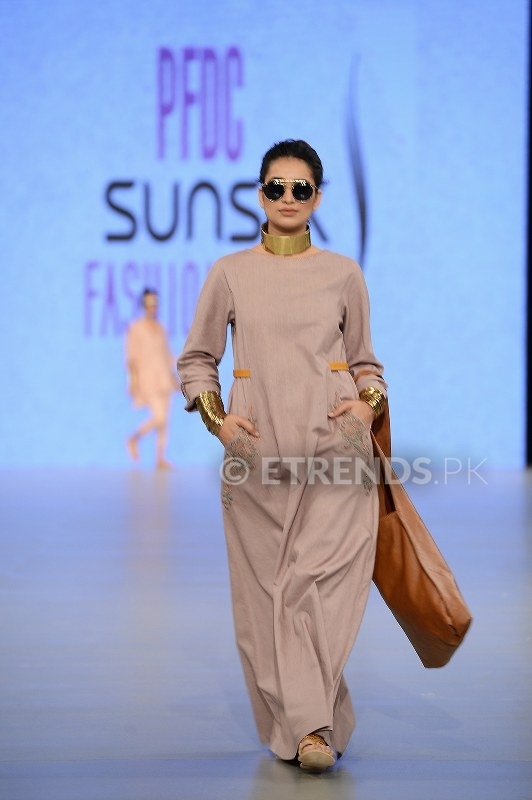 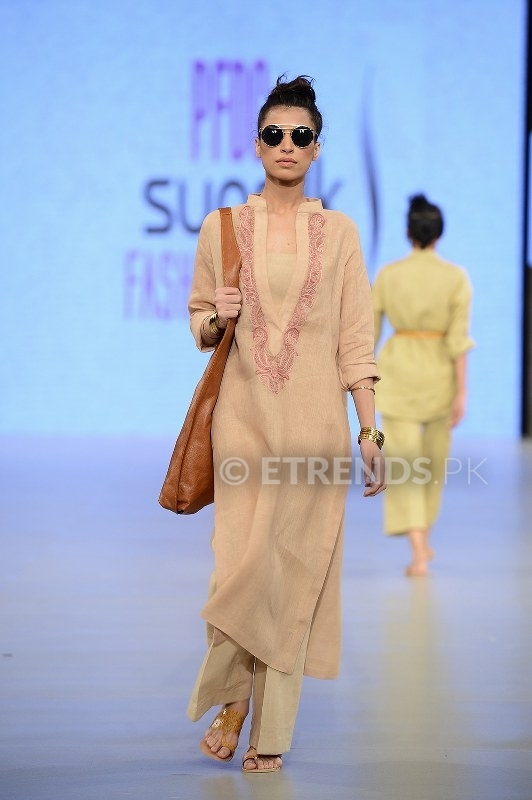 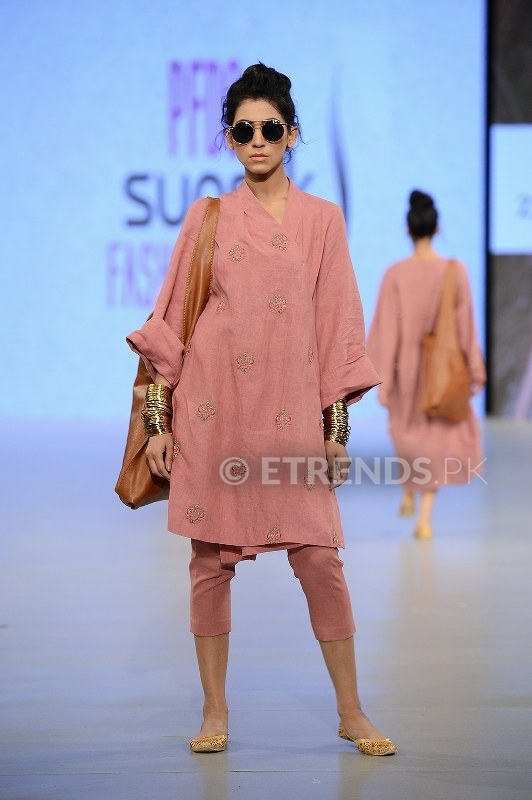 The label’s #PSFW16 collection was a modern take on the Kashmiri “Phiran” (oversized kurta) and was coupled with a minimalistic and organic look. 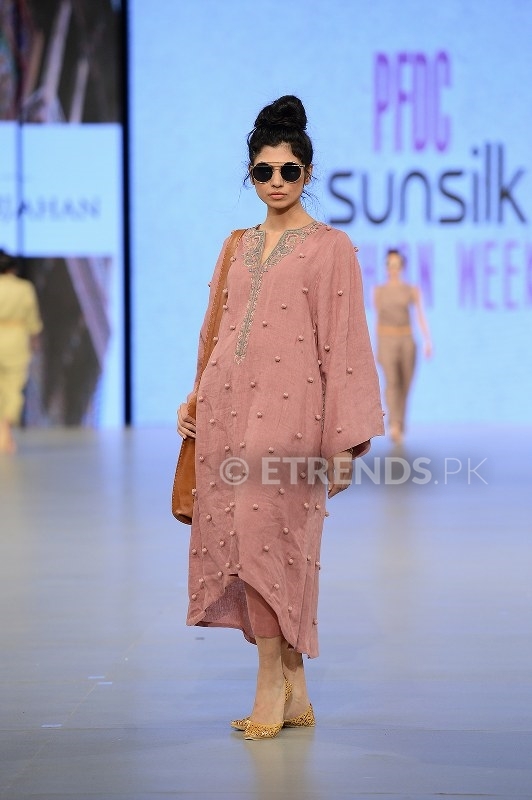 The womenswear collection was based in a color palette of earthy shades and soft pastels on pure cotton linen with contemporary chic detailing and edgy silhouettes. 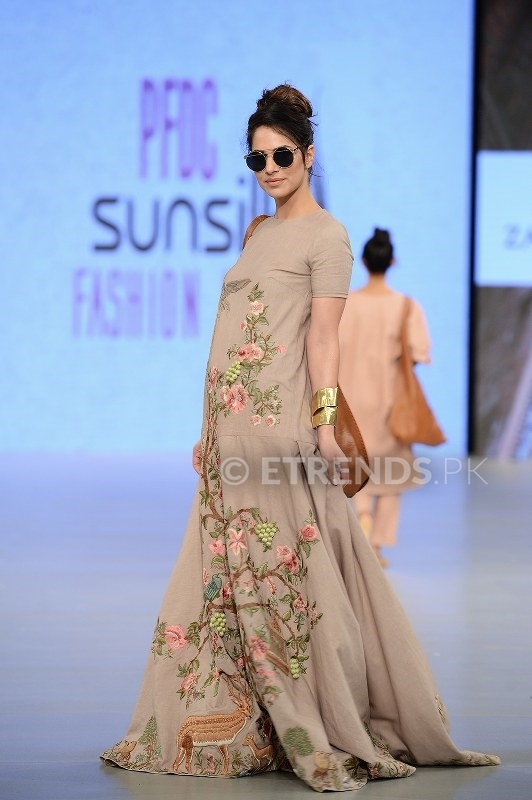 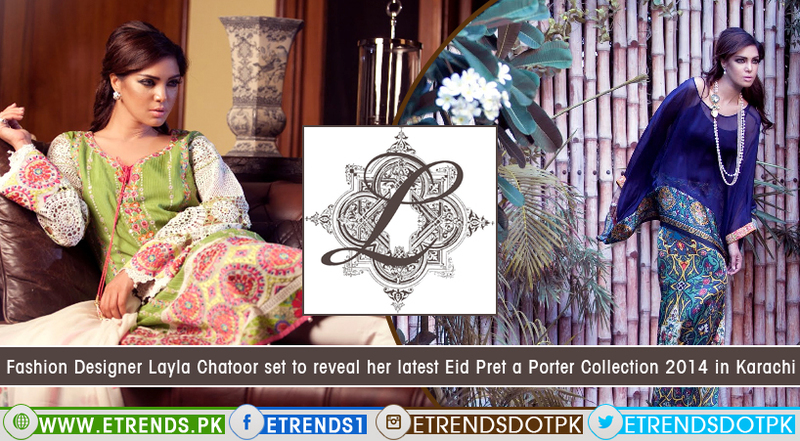 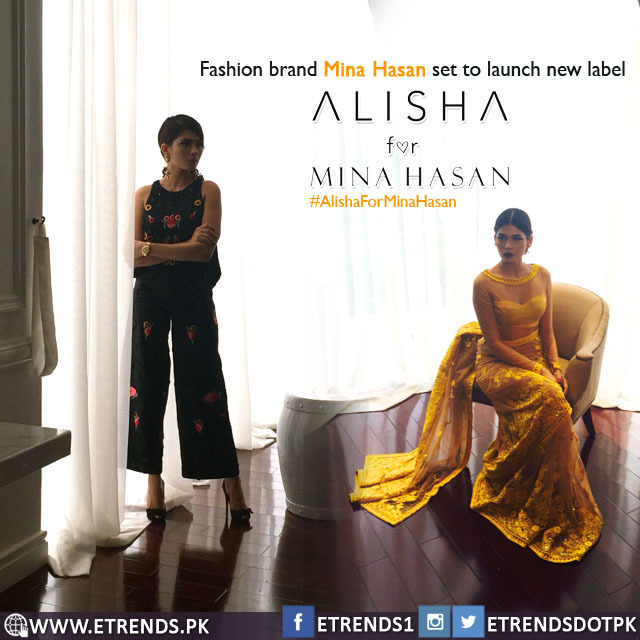 Zara Shahjahan’s signature floral motif was an integral part of the collection’s embellishments, which were purposely minimal to ensure that the primary focus is on the silhouette.